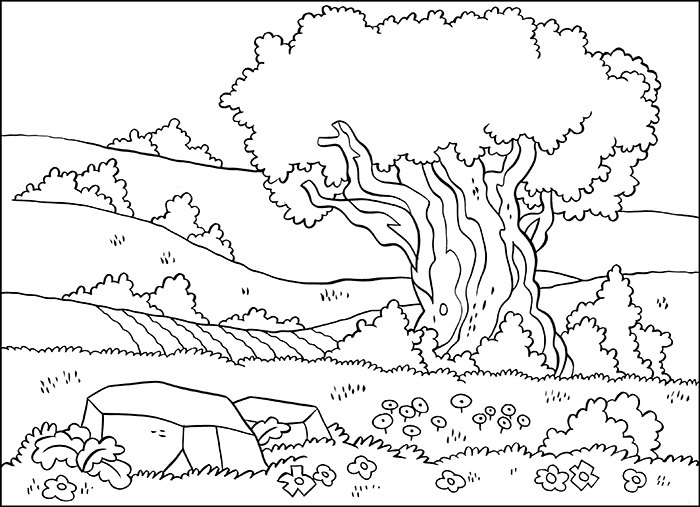 Use these different sceneries in a variety of ways to create Bible backgrounds. You can glue them together to form a long strip to decorate the wall, making sure to align the hills. 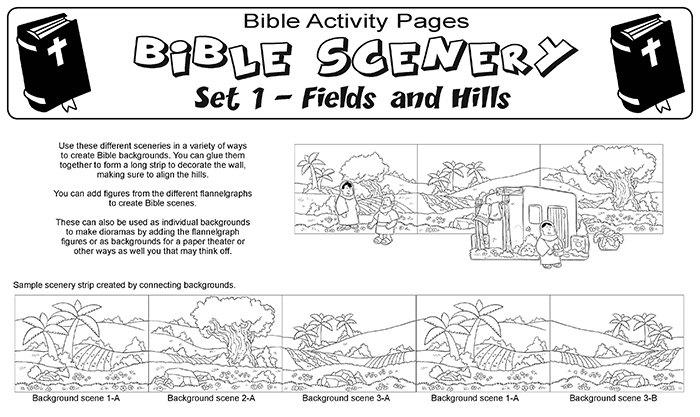 You can add figures from the different flannelgraphs to create Bible scenes. These can also be used as individual backgrounds to make dioramas by adding the flannelgraph figures or as backgrounds for a paper theater or other ways as well you that may think off.